Today marks two years since my mother's passing, and I've shared a little about her battle with Lewy Body Dementia. Well, my dad just published a book about his care giving experience. It was the most difficult read of my life. It was also the most beautiful love story I've ever read. If you are fascinated by the brain and/or psychology, you should read this. If you work with or are interested in working with dementia patients, you should read this book. If you are a care giver for anyone with dementia, you need to read this book. It's an eye opening experience to read about. I'm sure many will read it and relate, feeling not so alone anymore. Other Me's is a detailed, personal account of how one man and his family dealt with the effects of Lewy Body Dementia with Parkinson's Disease during the last two years of his wife Diane's life. 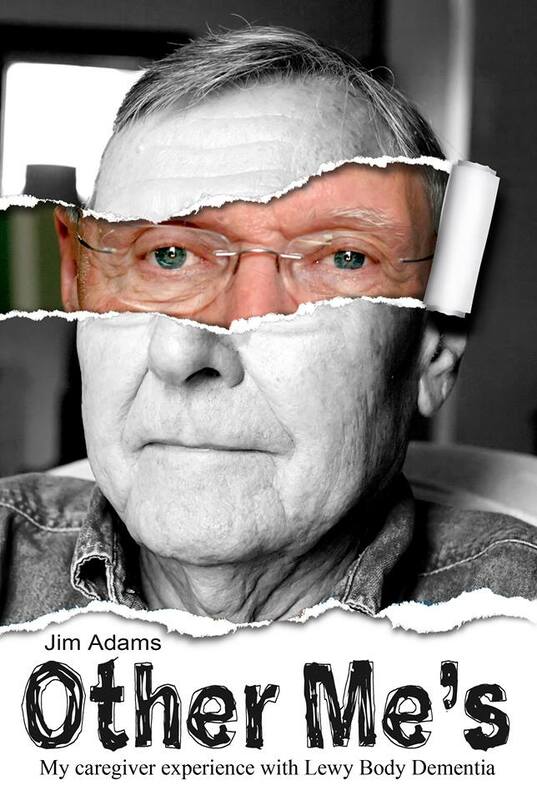 Using reflective daily journals and memory care facility notes, Jim Adams chronicles the progression of Diane's physical and mental symptoms, including Capgras Syndrome, which caused Diane to believe there were multiple versions of her husband of 52 years including several malevolent imposters. You can get a physical copy here. You can get the Kindle version here. Definitely going to read this. Very timely for me. My dad has Parkinson's and Dementia (we don't know if it's Lewy Body). He has been in Memory Care for a little over 2 years and last week we made the decision to start him on Hospice care. Oh Jane. I'm so sorry to hear about your dad. Let me tell you, Hospice workers/care is amazing. Those people are angels. For us, they were honest and direct in the most caring and helpful way. They brought such comfort. I would also highly recommend a book called, Final Gifts: Understanding the Special Awareness, Needs, and Communications of the Dying. It was IMMEASURABLY helpful for me and I know for my dad too. Oh wow, I can imagine that it would be difficult to read for you, but perhaps also cathartic. Definitely adding this to my TBR list! Yes. This is true. I know that it was VERY cathartic for my dad. Thanks Mia! As a hospice grief counselor, I can only imagine how thereapuetuic this was for you Dad to write this book. I've been a caregiver myself and I know that this is truly one of the most difficult tasks anyone can experience in their life. I don't know your Dad but I'm so proud he was willing to share his (and your Mom's and yours) story. I consider you (and other hospice/grief staff) angels. Seriously. And caregivers are super heroes! I know so many people, like you, have been through experiences in care giving, and I have nothing but respect. I'm sorry that your family is dealing with this. Any kind of dementia is just utterly devastating. If anything, your mom will be able to relate and just not feel alone!